As we previously wrote, the current crisis in the financial markets could not have happened without Freddie Mac and Fannie Mae: by guaranteeing undocumented, high-risk mortgages, Freddie and Fannie made investments in the mortgages a sure things for Wall Street. Now, the New York Times has published an excellent background article on how Freddie and Fannie got into the position whereby they were guaranteeing these mortgages, and the fingers point to the usual suspects: with Democrats pushing Freddie and Fannie to insure ever riskier loans, under the guise of “helping” low-income, minority and high-risk applicants on one hand, and Wall Street pushing Freddie and Fannie to do the same, thereby enhancing Wall Street’s profits, the US taxpayer never stood a chance. This could never have happened in a free market. In such a market, Freddie and Fannie would have been forced to charge insurance premiums commensurate with the risks they were assuming, not on the basis of some sort of “altruistic”, government-induced charity mission. Investors in the mortgage bundles guaranteed by Freddie and Fannie would have likewise been forced to scrutinize Freddie’s and Fannie’s ability to take on such risks. As it was, it was essentially known the government would back up Freddie and Fannie. That removed any risk to investors. The article cites Democrats such as Barney Frank of Massachusetts and Frank Reed of Rhode Island encouraging Freddie and Fannie to take on ever more risky mortgages to support their ideological goals. The Bush White House, which has shown itself to be more Democratic than any Democratic White House since Roosevelt (as measured by government interventionism in the economy and growth of government spending), made matters worse, by changing the lending standards applied to Freddie and Fannie, thereby allowing them to take on an additional $40 billion in sub-prime loans. The lenders, meanwhile, threatened to take their business elsewhere unless Freddie and Fannie took ever more risky mortgages off the lenders’ books. You can find the excellent New York Times article here. Tagged with bailout, credit crisis, democratic special interests, fannie mae, foreclosures, freddie mac, government bailout, mortgage crisis, who's to blame for this mess? What Really Led to the Credit Crisis? While the US government tries to put a $1 trillion (yes, you read that right: trillion) bailout package together, and Mr. Barack Obama and others in favour of governmental economic interventionism call for greater regulation (without any specifics), there is plenty of discussion as to what got the economy to this perilous state. The answer is very simple: risk has been divorced from financial underwriting decisions. 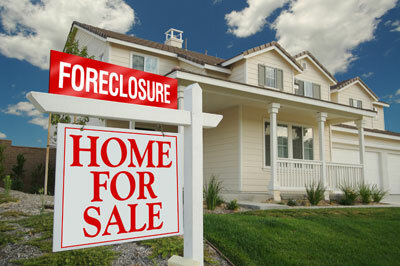 At the very heart of the current crisis are the so-called “sub-prime” mortgages. The banks who offered these mortgages faced no downside in the event a mortgage defaults. That not only makes for imprudent lending decisions, it rewards them. Here’s why: a customer comes into a bank and requests a mortgage, the payments for which he or she can’t really afford. If the bank bears the loss in the event of a default, logic dictates the banker will very carefully scrutinize the customer’s finances and ability to repay the mortgage. Doing otherwise puts the bank at risk, so the mortgage application is diligently underwritten. But that’s not the way the process actually worked. Instead, the banker approved the mortgage application and issued the loan. The mortgage, meanwhile, was immediately sold to Fannie Mae or Freddie Mac. Fannie or Freddie guaranteed the mortgage against default, bundled it with other mortgages, and sent it to Wall St., where the bundle of (now guaranteed) mortgages was sold to investors as Asset Backed Commercial Paper. On the surface, you have a winning combination: investors get a chance to invest in a product backed by real assets and with a guarantee against default. Banks get paid up front for the sale of the mortgage. The original customer gets to buy a house he or she never thought possible to afford. No one loses. The bank doesn’t care if the borrower ultimately defaults: it has cleverly divorced itself from the consequences of poor underwriting decisions. The investor who bought the ABCP doesn’t care much either: his or her investment is guaranteed against default by Freddie Mac and Fannie Mae who, it’s very widely believed, would never be allowed to collapse (which has since proven to be true). Even the borrower doesn’t care: the value of the house is sure to go up, building equity against which he or she can further borrow to buy that boat and big screen TV he or she has always wanted. Except for one overlooked detail: the entire scheme is predicated upon housing prices never going down. What might have prevented such a scheme from ever materializing? That’s easy: the linchpin of the whole dubious set up is Freddie Mac and Fannie Mae. That’s the point at which underwriting became divorced from risk. Without Freddie and Fannie guaranteeing the mortgages against default, the investors buying the ABCPs would have been confronted with the actual downside potential. That, obviously, makes them far less attactive investments, and acts as a natural braking mechanism against an oversupply of credit. With less money flowing back to the banks, the motivation to put ever more risky mortgages on the books is removed: the riskier any particular mortgage is, the less valuable it is when the bank sells it. Suddenly, that same customer applying for a mortgage on a home he or she cannot possibly afford is confronted with a banker shaking his head and suggesting a far more modest mortgage, the payments for which the customer can actually afford to service. How did Freddie and Fannie get into a position of causing such a mess? President Roosevelt, as part of his “New Deal” economic interventionism, created Fannie in 1938 specifically to cause an increase in liquidity for mortgages. That liquidity, exactly 70 years later, led directly to the current crisis. And where does that leave us today? With the US government proposing a taxpayer financed $1 trillion bailout for the purpose of increasing lending liquidity. And removing, again, financial underwriting decisions from the consequences of those same decisions.